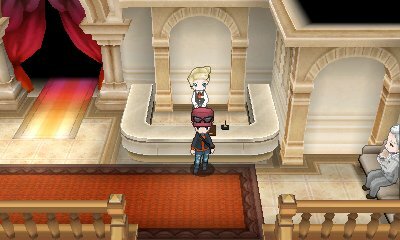 As Johto, Hoenn and Sinnoh had the Battle Tower, and Unova had the Battle Subway, Kalos has its own battle facility, the Battle Maison. 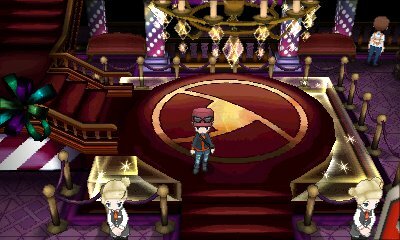 This small mansion, located within Kiloude City,is home to the battle facility of the region. 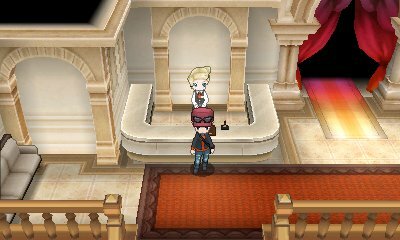 In here, you'll be able to battle through various trainers to try and get to the Battle Maison leader. There are four different styles of battle here: Single, Double, Triple and Rotation, and each one has got its own leader. 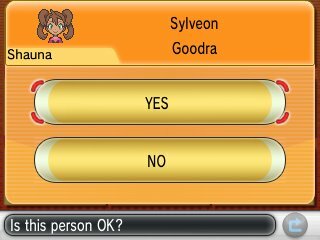 The rules are the standard flat rules of Pokémon battling, locking out specific legends and preventing two of the same Pokémon and item. However, there are a few differences. 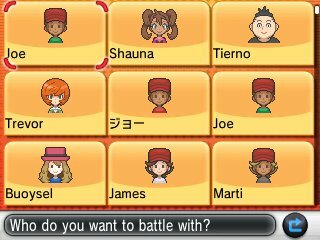 Instead of going through rounds of seven trainers, you will just continue to battle until you want to take a break, or you lose. This allows for you to go at your own pace and you don't forfeit anything by taking a break. In addition to that, you will receive at least 1 BP for every battle you win, straight after the battle. Finally, you have the ability to change the battle music between four different tracks provided. 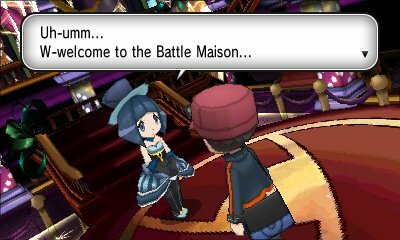 As with the previous Battle facilities, the Battle Maison has various leaders for you to battle. You first battle them in the 20th battle of the standard battle, and then later in the Super Battles. They give a significant amount of BP when you defeat them.